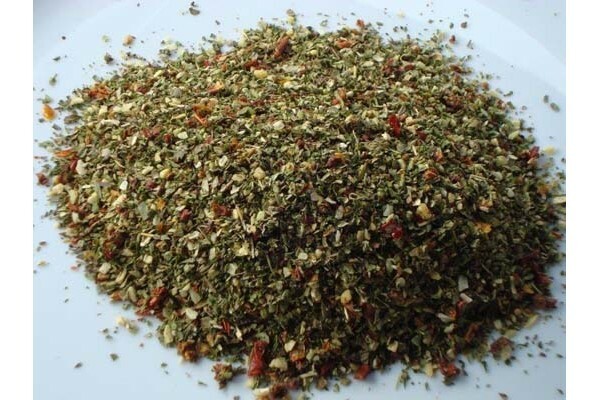 Italian Mixed Herbs is a great versatile topping that has plenty of flavour. All to often when buying mixed herbs the aroma and flavour just seem to be missing. So what is the point of buying it. Not our Italian Mixed Herbs. It smells and tastes delicious. This is one of the products that we like to go to when we are trying to demonstrate the quality of our products. If you are lucky you might find someone who has Mixed Herbs as good as ours but you won't find any better unless you get them straight from the garden. Best used as a sprinkle. Add generously to salads, pastas, pizza etc. Dehydrated Tomato, Garlic, Onion, Red Bell Pepper, Basil, Parsley, Marjoram, Oregano, Black Pepper.